WASHINGTON (AP) — The Pentagon said Tuesday it will take a "second look" at how it goes about accounting for missing Americans on foreign battlefields, following the disclosure of an internal assessment that the work is "acutely dysfunctional" and at risk of failure. "We have a sacred obligation to perform this mission well," Pentagon press secretary George Little told reporters, referring to the Joint POW-MIA Accounting Command, or JPAC, which is based in Hawaii and run by a two-star general. The U.S. estimates there are more than 83,000 Americans missing from World War II, Korea and Vietnam. Over the past three years, JPAC has reported an average of 69 identifications of recovered remains per year, down from 85 per year over the previous three years. Congress is demanding that it make at least 200 identifications per year starting in 2015, a target it is widely expected to miss. The Associated Press reported on Sunday that a 2012 internal assessment of JPAC's field operations -- including the search for and recovery and identification of remains -- found it suffers from ineptitude, waste and mismanagement. JPAC leaders suppressed the study but the AP obtained a copy after it had been denied to others who requested it under the Freedom of Information Act. "We're going to review the concerns raised in the report to see how JPAC is or isn't functioning well," Little said. "And if steps need to be taken to remedy what's happening inside JPAC, then we'll take action. This is an important mission." The Government Accountability Office, the investigative arm of Congress, also has examined JPAC. A Pentagon spokesman, Lt. Col. Jim Gregory, said the Pentagon has responded to the GAO's findings and recommendations and expects the results to be made public shortly. 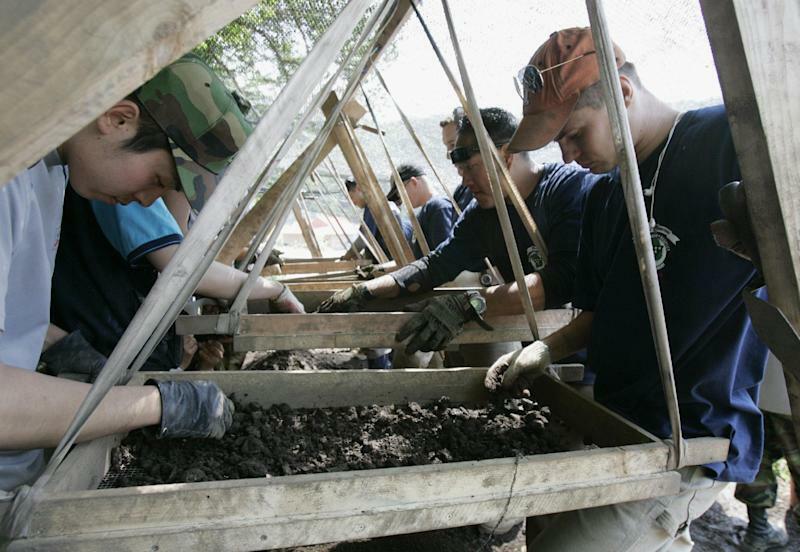 Separately, members of Congress pressed the Pentagon and JPAC for answers. 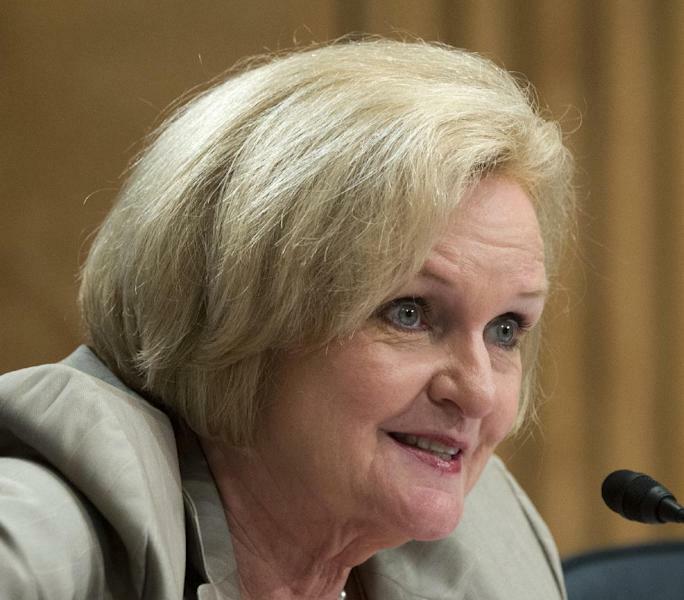 Sen. Claire McCaskill, D-Mo., wrote to JPAC's commander, Maj. Gen. Kelly K. McKeague, to request a copy of the internal report and other documentation. "We've got a responsibility to make sure this program is being run in a responsible manner, and I will not rest until we have answers," McCaskill said. She is chairman of a subcommittee that focuses on government waste and fraud. Little said the Pentagon's review would be undertaken by the office of James Miller, the undersecretary of defense for policy, who oversees JPAC and other aspects of the Pentagon's efforts to resolve the cases of missing service members. He said he could not yet spell out the exact parameters of the review. Asked why Miller acted now, Little said not all of the problems cited in the internal JPAC report had been brought to the attention of senior Pentagon officials until after the AP wrote about them. "Some of these concerns, quite frankly, didn't bubble up," Little said. "And it's important when these concerns are raised to take a look, so I think it's the prudent thing to do." The issues were not fully aired because the report, which was written by Paul M. Cole, a JPAC employee who studied the organization's inner workings for more than a year, was essentially buried by JPAC commanders. In an internal memo to his staff, the JPAC commander at the time, Maj. Gen. Stephen D. Tom, wrote on Feb. 3, 2012, that his organization would "not consider any allegations, findings or recommendations from the report," which he said would "not be considered in future planning efforts" aimed at improving operations. He "disavowed" the study and said it was "rejected in its entirety." Tom said some parts of the study were "poorly written, reflect a bias and contain findings and recommendations that go beyond the intended scope of the report." He demanded that it not be further shared or even copied. Little was asked whether JPAC's handling of the contentious report will be part of Miller's review. "This review hasn't even been initiated, but it will be started shortly. And I would imagine that those and other questions will be asked as part of it," he said.